They have one the first Saturday of every month. April's event is discussing the recovery of "Swamp Ghost"
WHO: Fred Hagen, Aero Archaeology founder and Swamp Ghost salvage team leader will be speaking. 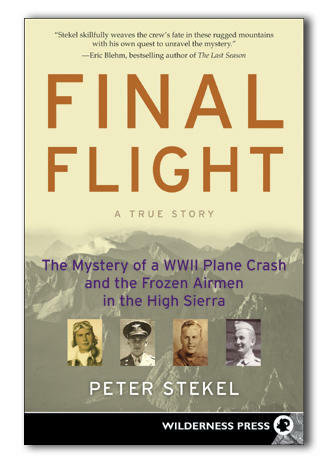 Also, Peter Stekel, journalist and novelist, will talk about his book "Final Flight". Book signing will follow. WHAT: Open to the public, we present a discussion panel of aviation historians and archaeologists followed by a question & answer period. 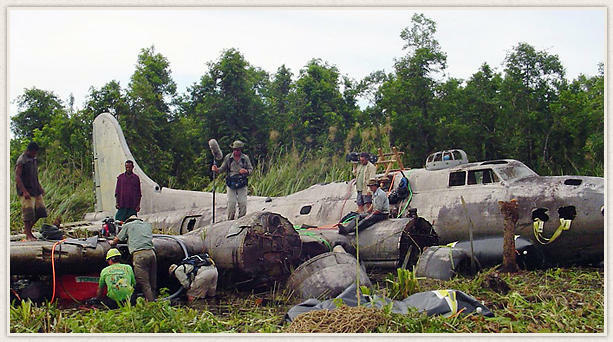 The topic this day is "Recovering Lost Aircraft", featuring and displaying the rare B-17E, "Swamp Ghost". POF Members are entered into a raffle for a flight in the L-19 Birddog following the presentation! WHEN: Saturday, April 2, 2011 10am�12 noon: Speaker program. 12 noon: The "Swamp Ghost" will be on display. FINAL FLIGHT is the story of William Gamber, John Melvin Mortenson, Ernest Glenn Munn, and Leo Mustonen. They were a United States Army Air Forces pilot and three aviation cadets lost in Sequoia & Kings Canyon National Parks on November 18, 1942 during a navigation training mission. In October 2005, two mountaineers climbing above Mendel Glacier in the High Sierra found the mummified remains of a man in a WW II uniform, entombed in the ice. The "Frozen Airman" discovery created a media storm and a mystery that drew author Peter Stekel to investigate. What did happen to the four-man crew who perished on a routine navigation training flight in 1942, 150 miles off-course from its reported destination? Stekel found bad weather, bad luck, and bad timing. Empty graves, botched records, and misguided recovery efforts. Then, in 2007, the unimaginable happened again. Stekel himself discovered a second body in the glacier. Another young man would finally be coming home. I hadn't heard of the book or what happened. It looks pretty interesting from the synopsis. Director of the Aeroplane Collection and Board Member of the Smithsonian Institution Air & Space Museum. 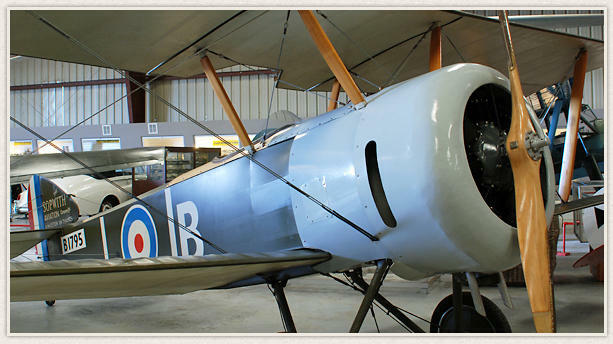 The Aeroplane Collection has 22 flyable WWI fighters, equipped with their original engines and instruments. Mr. Arango relates his personal experience as a test pilot, flying, researching, and building these antique aircraft. Vice President �League of WWI Aviation Historians� - using multiple contemporaneous sources such as interviews, articles and family correspondence, Mr. Bronnenkant delves into the characteristics and personality of Oswald Boelcke, the father of fighter pilot aviation and mentor of Manfred von Richthofen (The Red Baron). In addition to the speakers we will have WWI re-enactors courtesy of the �Great War Historical Society� and Jack Herris; acclaimed WWI Aviation Author of Aircraft of WWI: 1914�1918 (Essential Aircraft Identification Guide) and Tumult in the Clouds, both books are available in the Museum's gift shop. WHAT: Open to the public, we present a discussion panel of aviation historians followed by a question & answer period. 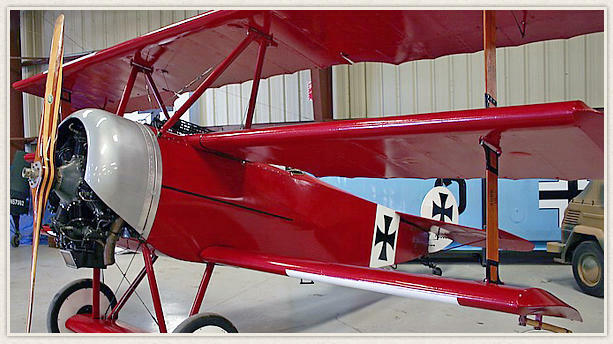 The topic this day is "WWI - The Air War", featuring WWI aircraft. POF Members are entered into a raffle for a flight in the PT-17 Stearman following the presentation! WHEN: Saturday, May 7, 2011 10am�12 noon: Speaker program. WHY: Our mission at Planes of Fame Air Museum to educate and inspire current and future generations to our aviation and military history. WHO: MAJOR BOB STERNFELS, a decorated WWII Army Air Force Veteran, will recount his participation in the daring and strategically important WWII B-24 raid on the Ploesti Oil Fields in Romania. Major Sternfels who today at a youthful 90 years still retains a vivid memory of that fateful mission - which has not faded. Major Sternfels was just 22 years old when he flew his B-24D �Sandman� on the Ploesti raid as the Command pilot. 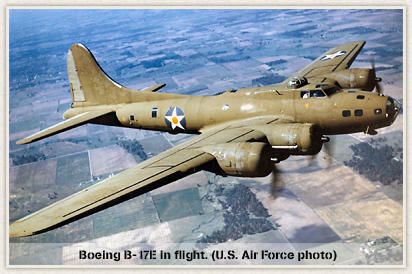 The four engine B-24 was the Army Air Force�s largest and heaviest bomber at the time. Major Sternfels flew 50 combat missions - the equivalent of 300 combat hours. His decorations include: The Silver Star, DFC Distinguish Flying Cross, Air Medal with 10 Oak Leaf Clusters, Presidential Citations and recognition from the French Government. Bob will be presenting a video of the Ploesti raid from tree top level as well as his firsthand account of the mission. 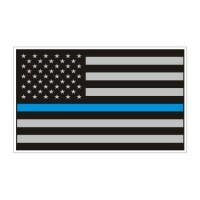 Additionally Bob has written a book titled �BURNING HITLER�S BLACK GOLD� �The mission�s true story as only a veteran of the raid could recount. Major Sternfels will be signing his book after the presentation. Also available will be a DVD based on Bob�s book �BURNING HITLER�S BLACK GOLD�. WHAT: Open to the public, we present a discussion panel of aviation historians and veterans followed by a question & answer period. 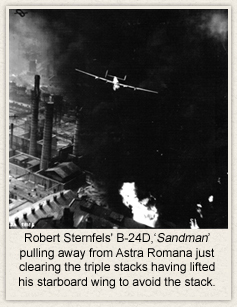 The topic this day is "The Ploesti Raids, Striking the Lifeblood of the German War Machine", featuring Major Bob Sternfels who actually flew his B-24 in those raids. 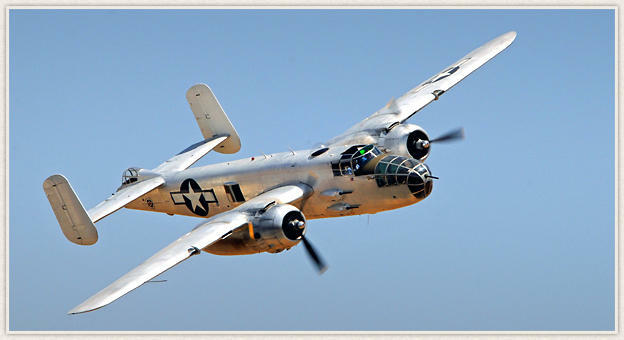 The featured aircraft of the day is the B-25. POF Members are entered into a raffle for a flight in the L-19 Birddog following the presentation! WHEN: Saturday, June 4, 2011 10am�12 noon: Speaker program. WHO: Edward Maloney � Founder and Curator, Planes of Fame Air Museum; Kevin Thompson � Planes of Fame Air Museum Historian, Airshow Announcer and Moderator of Living History Flying Day events and Frank Mormillo � Historian and Planes of Fame Photographer. 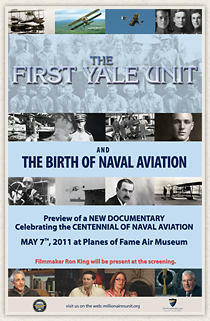 WHAT: Open to the public, we present a discussion panel of aviation historians followed by a question & answer period. The topic this day is "Russian Combat Aircraft", featuring MIGs and YAKs. POF Members are entered into a raffle for a flight in the L-19 Birddog following the presentation! WHEN: Saturday, July 2, 2011 10am�12 noon: Speaker program. 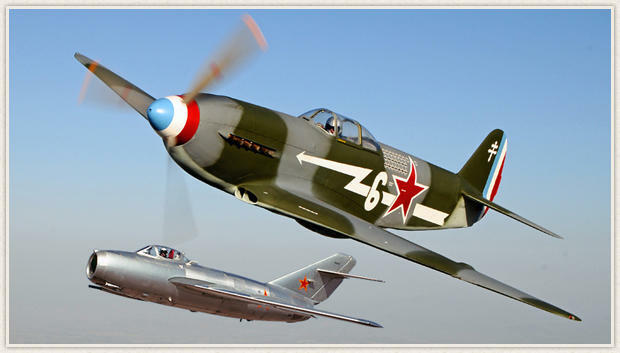 Demonstration flight of YAK-3 follows. WHO: Guest speakers are all Reno air racers: Steven Hinton Jr. "Strega" ; Will Whiteside "Voodoo"; John Maloney "Steadfast" & "Super Corsair "; Rob Patterson "Lady Jo"; Sherman Smoot "Czech Mate". WHAT: Open to the public, we present guest speakers who are all Reno air racers followed by a question & answer period. The topic this day is "The Quest for Speed". 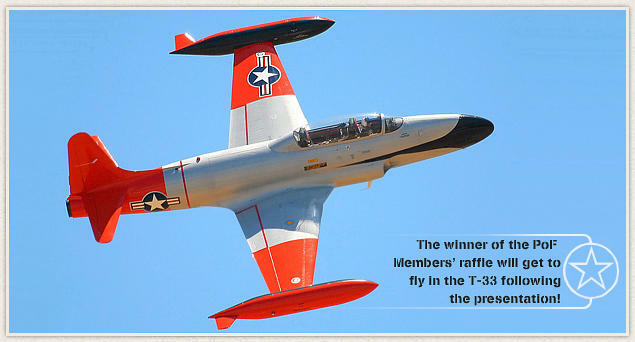 POF Members will be entered into a raffle for a flight in the T-33 following the presentation! Don't miss this one! WHO: Kevin Thompson (POF Moderator and Aviation Historian) and Charlie Isaacs (Aviation Historian) will talk about the history of dive bombing and the evolution of purpose built dive bomber aircraft. Ed Maloney will give an overview as well. Ron Hackworth will be on the panel as well and will fly the SBD flight demonstration. 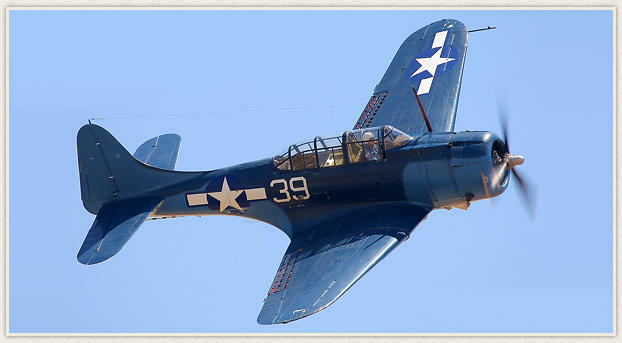 Ron will discuss the SBD dive bomber from the pilots perspective. WHAT: Open to the public, we present a discussion panel of aviation historians and veterans followed by a question & answer period. The topic this day is "Dive Bombers", featuring the Douglas SBD Dauntless. POF Members are entered into a raffle for a flight in the SBD Dauntless following the presentation! WHEN: Saturday, September 3, 2011 10am�12 noon: Speaker program. I get a calendar every year for Christmas, from my daughter. 1. Don Foley - Introduction of history and welcoming & presentation to Jack Croul P-38 restoration plaque. WHAT: Open to the public, we present a discussion panel of 82nd FG veterans and aviation historians followed by a question & answer period. 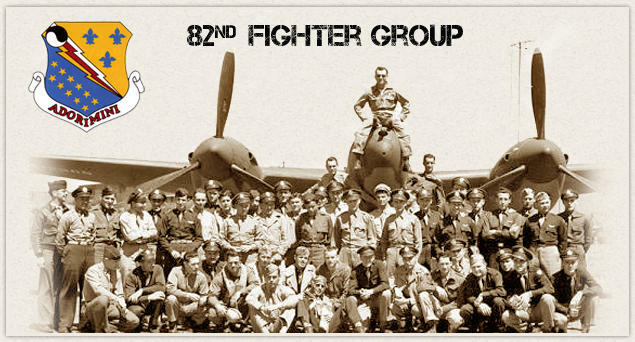 The topic this day is "The 82nd Fighter Group in WWII", featuring the P-38 Lightning with flight demonstration of two P-38s, POF's "23 Skidoo" flown by John Maloney and Jack Croul's "Honey Bunny" flown by Kevin Eldridge. POF Members are entered into a raffle for a flight in the P-38 Lightning following the presentation! 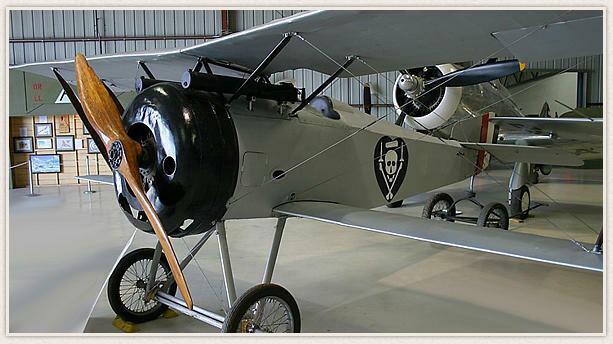 WHEN: Saturday, October 1, 2011 10am�12 noon: presentation program and flight demonstration. WHO: The panelists will be Frank Vranicar L-19 pilot, Bob Cashman L-19 pilot and Author Tom Cleaver who will talk about Army Capt. Ken Lee who was an OV-1 Mohawk pilot in Vietnam and had an unconfirmed and un-credited MIG 17 shoot down; also Kevin Thompson - Planes of Fame Air Museum Moderator and Aviation Historian. WHAT: Open to the public, we present a discussion panel of aviation historians and veterans followed by a question & answer period. 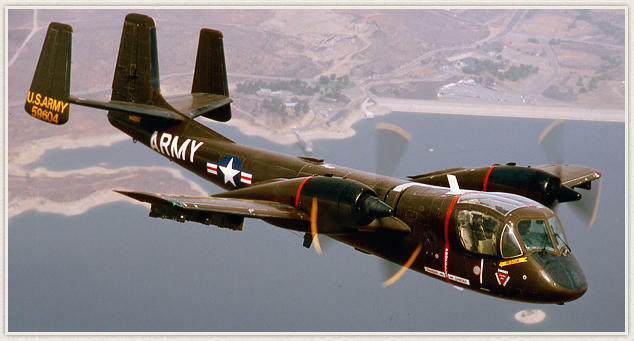 The topic this day is "Aerial Observation & Forward Air Control Missions", featuring the L-19 Bird Dog. The noon flight demonstration will be the L-19 Bird Dog. The OV-1 Mohawk and L-4 will be on display as well as Frank Vranicar�s L-19. POF Members are entered into a raffle for a flight in the L-19 Birddog following the presentation! WHEN: Saturday, November 05, 2011 10am�12 noon: Speaker program. WHO: The panelists will be Kevin Thompson - Planes of Fame Air Museum Moderator and Aviation Historian; Charlie Isaacs - Aviation Historian; Osamu Tagaya � Aviation Historian and acclaimed author; Bruce Gamble � award winning author and historian specializing in highly readable narratives about World War II in the Pacific. During his career as a Naval Flight Officer in the closing years of the Cold War, Bruce logged nearly 1,000 hours as a navigator in EA-3B Skywarriors, including deployments aboard aircraft carriers in the Pacific and Indian Oceans. 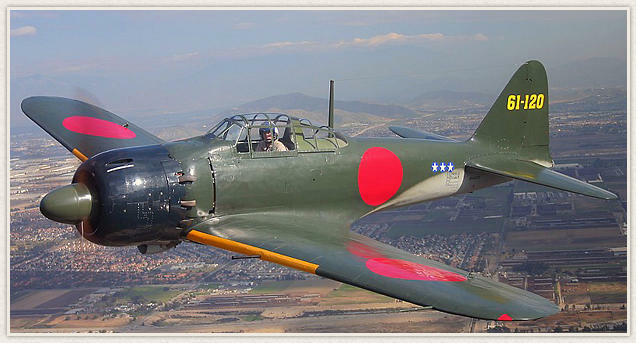 WHAT: The theme is �WWII � Air War in the Pacific�, featuring our Mitsubishi A6M5 Zero Fighter... The only completely original A6M5 left in the world that still flies! Open to the public, we present a discussion panel of aviation historians and veterans followed by a question & answer period and flight demonstration, featuring the Mitsubishi A6M5 Zero. At 12:00 noon, the Membership Sponsored raffle flight will be in the PT-17 Boeing Stearman. WHEN: Saturday, December 3, 2011 10am�12 noon: Speaker program. Museum doors open at 9:00 am. Another great season of Flying Events has just ended for this year with the Planes of Fame A6M5 Zero being the star of the show. Here is an in cockpit video of her while in flight taken on December 03, 2011. There is a picture of Charles Lindbergh"s entry into the planes logbook at the link above along with the planes history. Just before the video fades out while the Zero is taxiing in front of the crowd you can see me. Have fun trying to figure out which one is me in the crowd though. I am already looking forward to what Planes of Fame might plan for next years events. Follow next years (2012) Flying History Events in this thread.